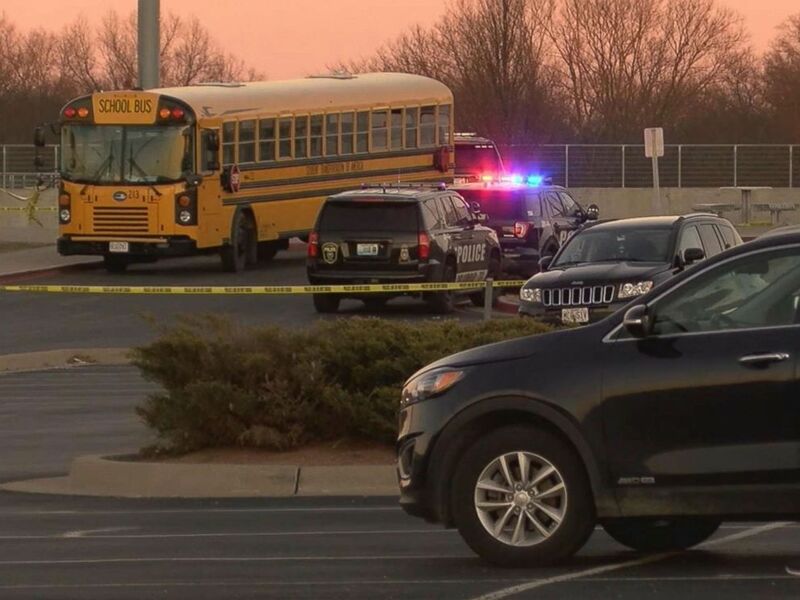 A 4-year-old has died after she was struck by a police officer’s car at a Missouri high school on Friday, according to authorities. 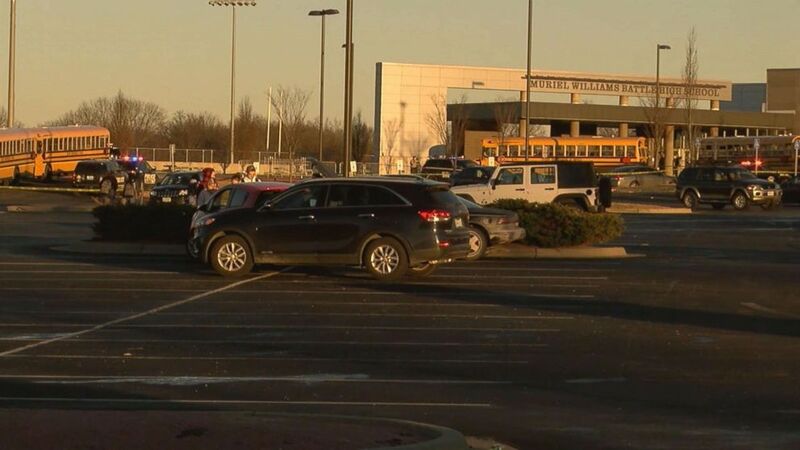 The officer, identified by the Missouri State Highway Patrol as Andria Heese of the Columbia Police Department, hit the child with a marked patrol car around 3:55 p.m., the department said in a press release. Heese, 27, was driving a 2015 Chevrolet Tahoe at the time, according to a Missouri State Highway Patrol crash report. The girl, identified by authorities as Gabriella Curry, was walking on the sidewalk when she was hit, the report stated. Heese had driven onto the sidewalk so she could observe students loading onto school buses, according to the report. Police tape marks the scene where a 4-year-old girl was struck and killed by a vehicle driven by a Columbia Police officer at Muriel Williams Battle High School in Columbia, Mo., Jan. 4, 2018. Heese, a school resource officer and other school personnel immediately began administering medical care to the child, and "advanced life support" was administered once the ambulance arrived, police said. Gabriella later died at the hospital. A memorial was held for Gabriella at the high school on Saturday afternoon. "I would ask everyone to please pray for the family and pray for the officer that was involved in this incident," Acting Police Chief Jill Schlude said during a press conference Friday. "It was extremely tragic, and a lot of people need prayers tonight." Gabriella was described as a "bubble of sunshine" who "loved everyone and gave the great high fives or biggest hugs" by Tammy Crabtree, a bus monitor at the school, The Wichita Eagle reported. Heese, who has been with the department for five years and is assigned to the community outreach unit, has been placed on administrative leave, police said. Missouri State Highway Patrol is investigating the accident, police said.